The Tudor 1926 collection has taken us back to 1926 with its range of elegant dress watches that are for both men and women. 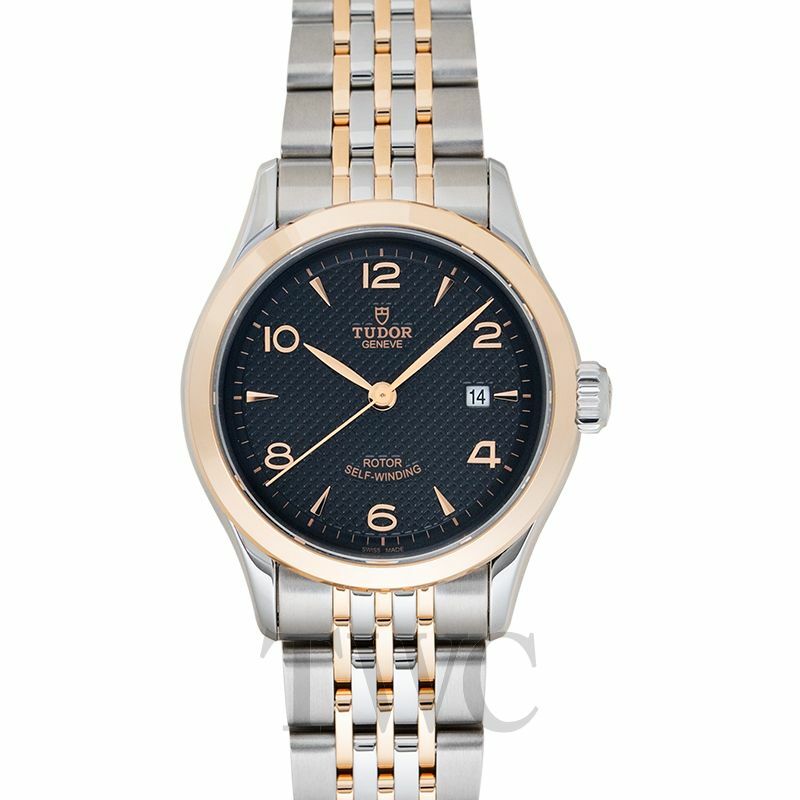 The Tudor watches usually tends to fight back with the modern fashion and provides a rugged yet a formal wear. But the same is not in the case of the Tudor 1926, as it is a timepiece that requires the pairing of a sharp suit. A subsidiary of Rolex, the Tudor is a Swiss watch manufacturer renowned for its high-quality wristwatches based in Geneva. The sole purpose of the brand was to built watches whose quality should be close to Rolex, but at a lower price range. Its golden age was marked with the arrival of its Oyster and Oyster Prince which were launched in the 1950s. The Tudor watches not only bore the Rolex style and built quality but had a market-friendly price, and because of their reasonable price, they attracted a wide audience of customers.With the years, they have introduced a lot of their iconic models including the Oyster Prince Submariner, the Tudor Black Bay, the Fastrider Black Shield and many other. And with their release of Tudor 1926, they have again surprised us with their quality of thinking outside the box. 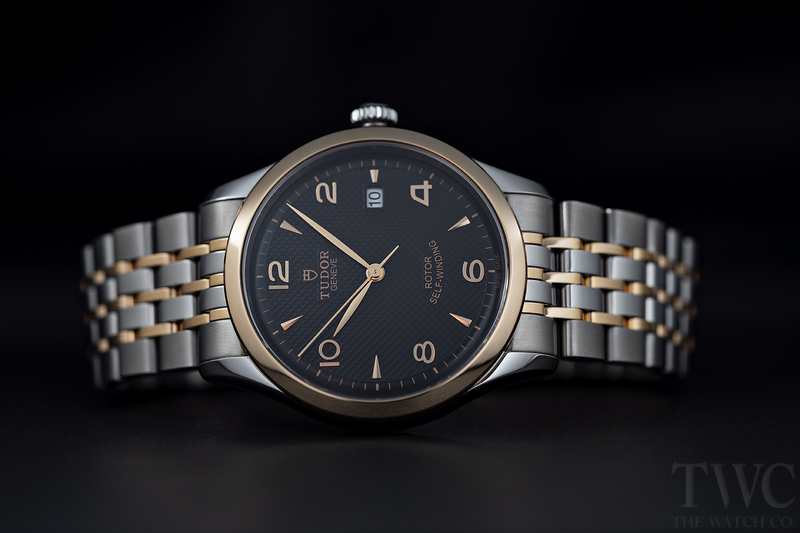 The Tudor 1926 has nailed the essence of new-vintage with its wide range of color combinations. The available color of these watches includes black, opaline or silver faces along with a polished and machine-stamped waffle pattern that is made on its face. The dial size comes in four different options – 28mm, 36mm, 39mm, and 41mm and they add the perfect element of crisp and clear look. The lack of crown guards on the steel or two-tone steel and rose gold cases gives an ideal impression of a formal watch. All the watches of Tudor 1926 resembles class and with its nicely placed date window at 3 o’clock, it becomes the perfect personification of elegance. The bracelet of the watch are purpose made and contains seven links that vary in size in a playoff manner among the satin-brushed with a polished finishing. And to top it off, it is just comfortable to wear and is thin enough to effortlessly slide under the cuff. 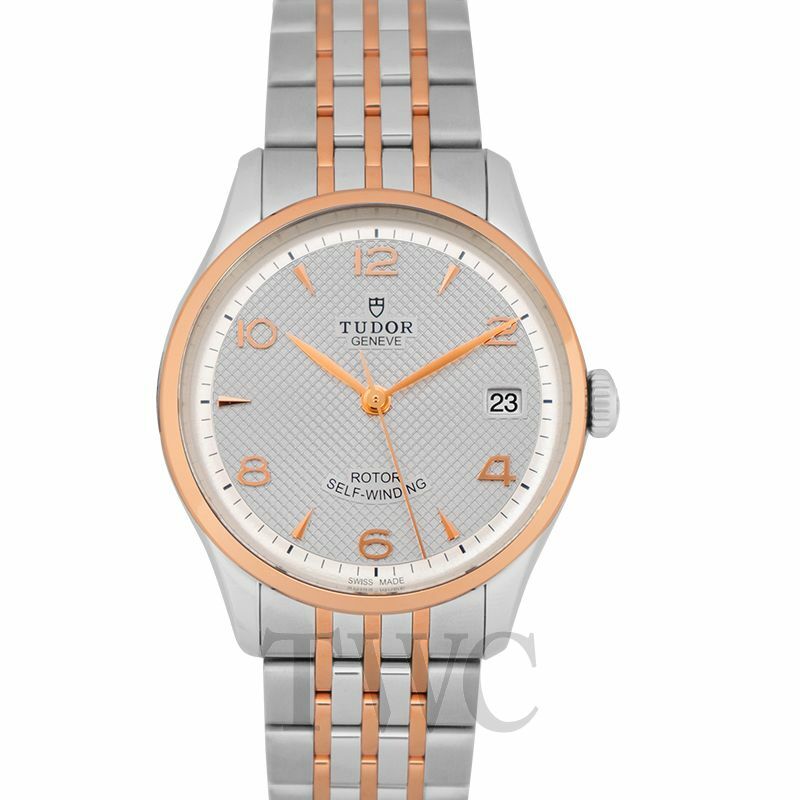 If you are looking forward to getting a formal look, along with the color options which are mentioned above, the Tudor 1926 also offers a feature in which you can customize it with diamonds. And these diamonds will replace the odd-numbered hour markers. 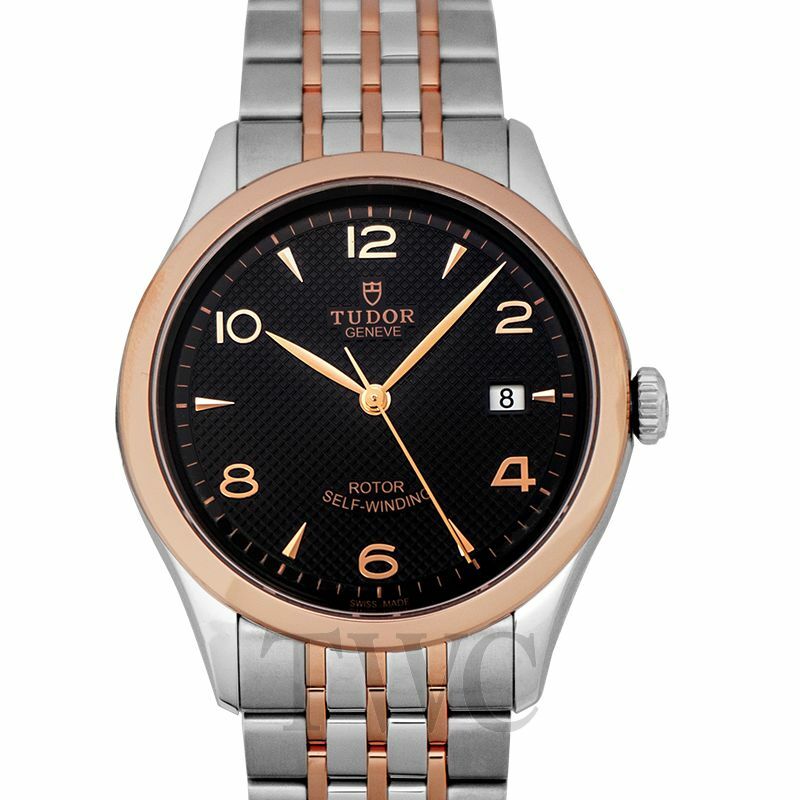 The Tudor watch is quite durable with its 100m water resistance and a bracelet which is made from seven-links. It is built with a winding crown and of course, features the Tudor shield and logo, and along with its sapphire crystal, it is made perfect for shock resistance which is actually considered more durable than the Black Bay watches. But more than its durability, its vintage design is an inspiration and gives out a smart dress sensibility. The waffle dial of this Tudor 1926 is, of course, one of the most intriguing aspects and certainly a major reason for its vintage look. With its checkerboard-like styling, its perfectly textured dial is soothing to the eye and is, in fact, a throwback to similarly textured 1950’s Rolex watches that were named as the “honeycomb dials”. It is the unique element which sets it apart from not only its Black Bay relatives but also from the other timepieces that are vintage-inspired dress watches. When Tudor was born, it was built to be more utilitarian and was considered to be a lower cost alternative, the reason for this being, they made use of the third-party movements that were specifically from the Swiss ébauche manufacturer ETA. The same is in the case of Tudor 1926, the three large sizes (36mm, 39mm, and 41mm) are equipped with the ETA 2824 whereas the 28mm model has the ETA 2671. They have the power reserve of 38 hours and runs at the brand standard 28,800bph. They are only tough but are accurate as well with automatic and bi-directional winding movements. Combined with a beautiful silver dial are its rose-colored Arabic numeral and faceted arrow-shaped hour markers. Tudor 1926 Opaline & Blue Dial Steel Bracelet 41mm (Ref: M91650-0005) Its unique opaline dial with vivid blue Arabic numeral is enough to grab everyone’s attention. With its classy and subtle black dial, this watch is blended with rose-colored Arabic numeral and has faceted arrow-shaped hour markers. With its exceptional diamond hour markers, this watch is delicately put together with a silver dial and rose-colored Arabic numeral that makes it perfect for your regular wear. This watch has diamond hour markers which are going to immediately catch the eye of the onlooker. When the viewer further glances upon it, they can see the subtle black dial consists of rhodium-plated Arabic numerals taking its aesthetics to a whole new level. The tender silver dial of this wonder has been endowed with rose gold Arabic numerals. The watch is further prettied with faceted arrow-shaped hour markers. The fragile silver dial of the watch has been beautified by rose-colored Arabic numerals. to further appease the onlooker, it has been adorned with exquisite diamond hour markers. With the introduction of Tudor 1926, it has been marked as an important year for the company as it has remastered its classics. Being named after the year Tudor was founded, the 1926 has successfully captured the essence of Tudor, and has definitely revived the timeless elegance and mechanical excellence. Thus go ahead and add these perfectly constructed men’s and women’s dress watches to your collection and enhance your everyday look.